WizKids are once again teaming up with games giant Games Workshop to bring a new version of the board game Relic. This game uses a system very similar to Talisman one of the best games ever to come out of the mighty GW and will soon available to pre-order. WizKids is excited to announce the upcoming release of the iconic Warhammer 40,000 board game Relic! A player wins when they complete the unique requirements of the Scenario’s confrontation in the Inner tier. Players who have entered the Scenario space in the inner tier may not move and must resolve the Scenario’s confrontation during their future turns. Will these intrepid heroes succeed in bringing the Antian Sector to safety, or will their mission end in failure? 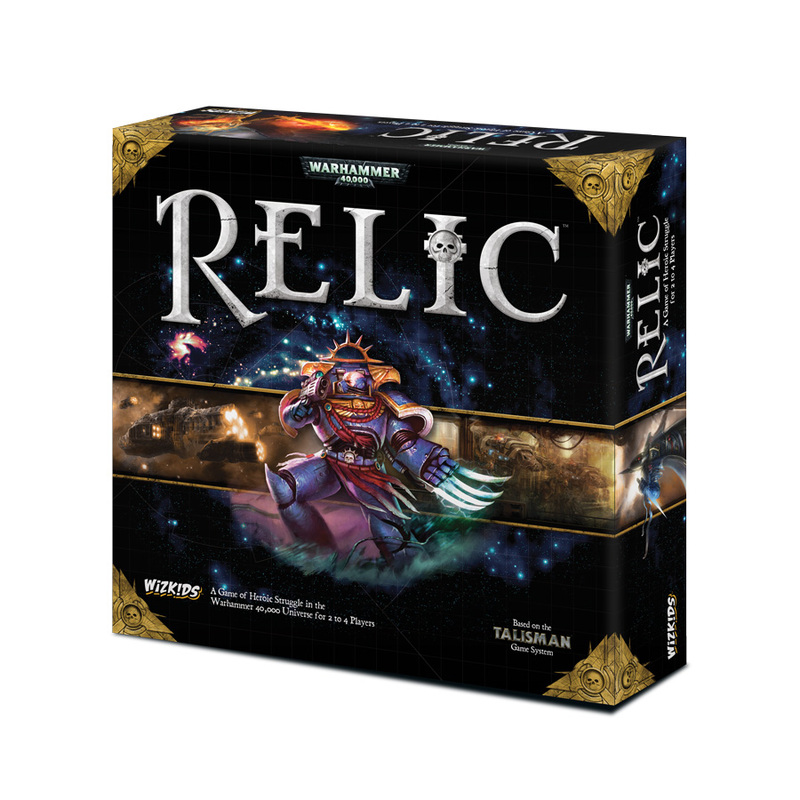 Preorder Relic at your Friendly Local Game Store or online today!